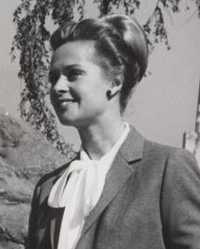 A successful fashion model from her twenties, appearing on the front covers of Life and Glamour magazines among others, Hedren became an actress after she was discovered by director Alfred Hitchcock while appearing on a television commercial in 1961. She received world recognition for her work in two of his films, the suspense-thriller The Birds in 1963, for which she won a Golden Globe, and the psychological drama Marnie in 1964. Hedren has appeared in over eighty films and TV shows including the Alexander Payne film, Citizen Ruth (1996), and the David O. Russell comedy, I Heart Huckabees (2004), and her contributions to world cinema have been honored with the Jules Verne Award and a star on the Hollywood Walk of Fame among others. This webpage uses material from the Wikipedia article "Tippi_Hedren" and is licensed under the GNU Free Documentation License. Reality TV World is not responsible for any errors or omissions the Wikipedia article may contain.